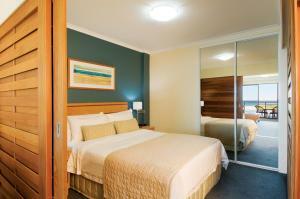 Good location, friendly helpful staff, large rooms. Upgraded facility & location. & when I had an issue it was addressed. Location was good, however the overall area needs a revamp. 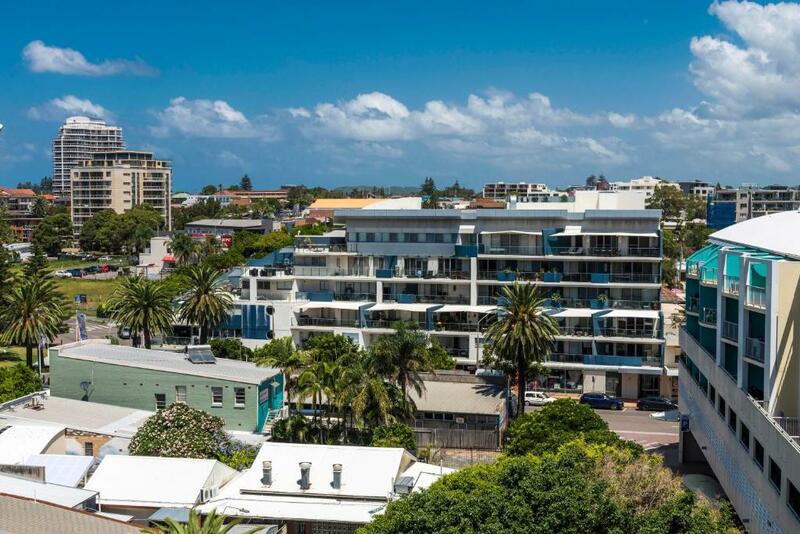 Close proximity to the waterfront and shopping centre. The location is excellent, very close to the beach. The extra large double bed is very nice to have our toddler slept with us. Location and since we were there the last time it has deteriorated. Fabulous view. Everything we needed. Walk to everything. Handy parking. Had a Clothes Dryer but no washing machine. You have to pay extra for parking and Wi-Fi. The location was excellent and the bed was comfortable. Could happily stay here for more than the one night we did. Oaks Waterfront Resort This rating is a reflection of how the property compares to the industry standard when it comes to price, facilities and services available. It's based on a self-evaluation by the property. Use this rating to help choose your stay! 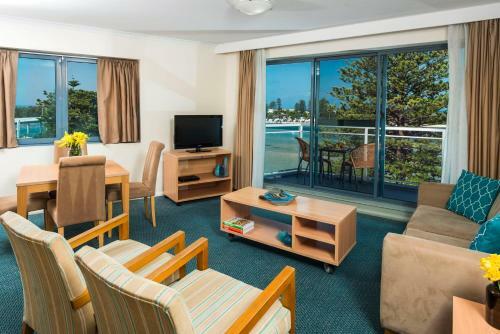 One of our top picks in The Entrance.The Oaks Waterfront Resort is perfect for carefree family holidays and weekend escapes, located right on the water's edge with superb views of both the surf beach and Tuggerah Lake. Guests receive 30-minutes free Wi-Fi per day, per room. The Oaks Waterfront has studio apartments, 1 and 2-bedroom luxury loft apartments and executive 1 and 2-bedroom apartments. 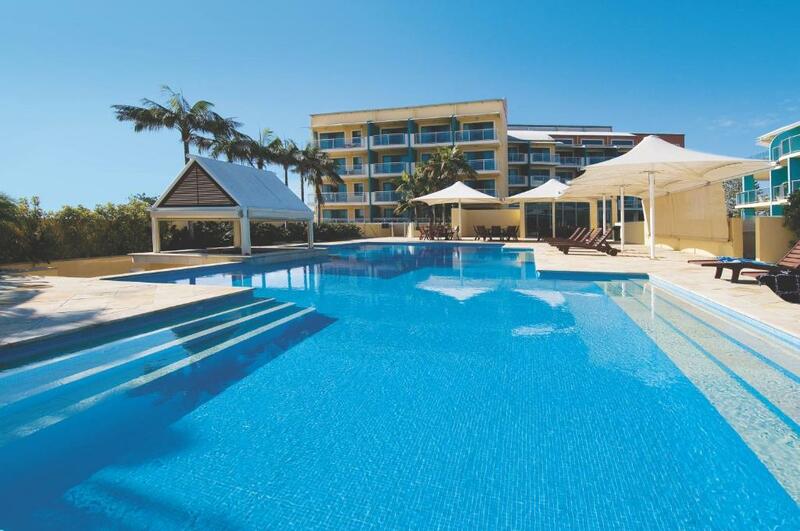 Have a swim in the beautiful resort pool, laze on the stunning surf beach on your doorstep, or do a bit of shopping. 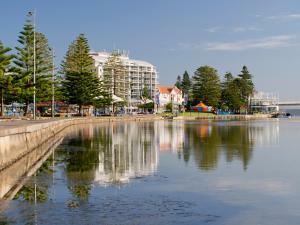 When would you like to stay at Oaks Waterfront Resort? This open-plan studio apartment has tea/coffee-making facilities and private balcony. Please note that the room will not be serviced by housekeeping during guests' stays. Private parking is available on site (reservation is not needed) and costs AUD 15 per day. 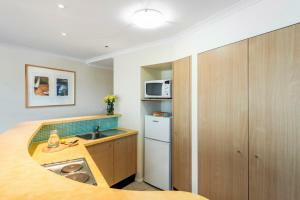 This comfortable apartment has a kitchenette and laundry facilities. 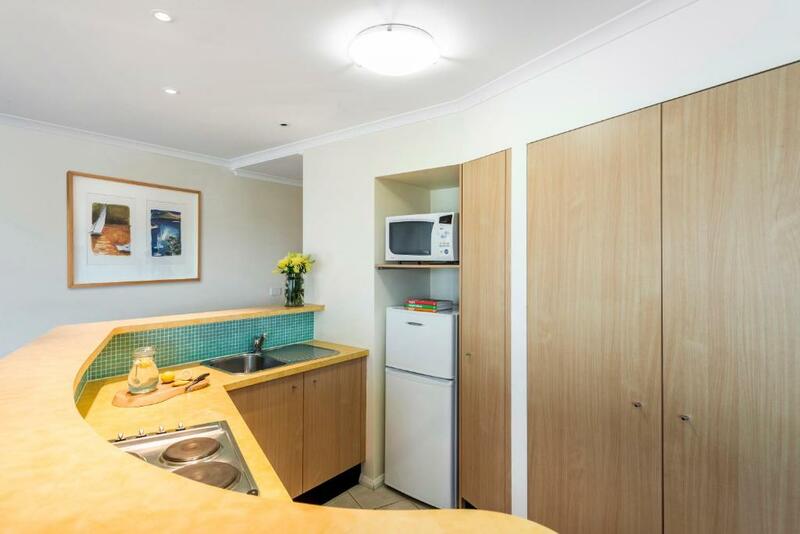 This spacious apartment has a kitchenette and laundry facilities. This open-plan studio features tea/coffee-making facilities and a private balcony with ocean views. This apartment features a kitchenette, laundry facilities, a cable TV and a private balcony with ocean views. This spacious 1-bedroom loft apartment has 2 levels and offers a kitchenette and laundry facilities. It features a balcony with lake or ocean views. This spacious 2-bedroom loft apartment has 2 levels and offers a kitchenette, laundry facilities and 2 bathrooms. It features a balcony with lake or ocean views. This studio features a balcony, air conditioning and cable TV. 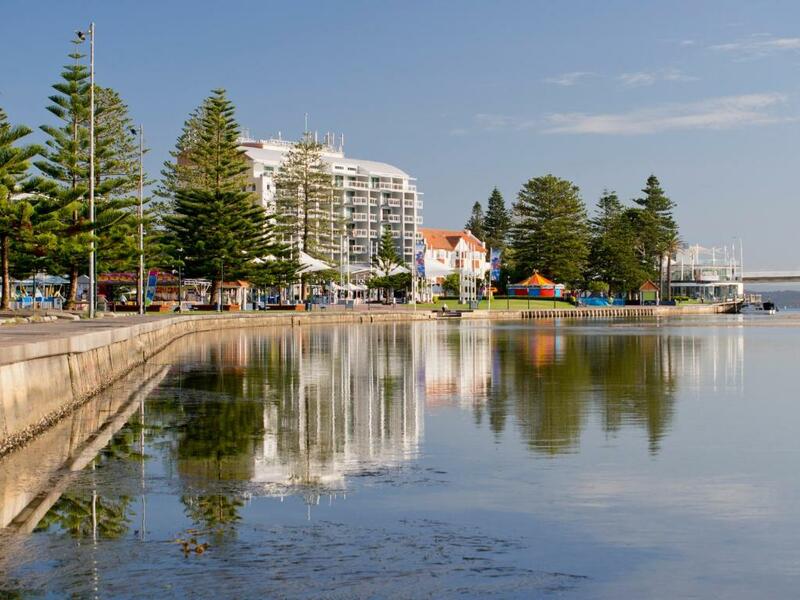 As the name suggests, our family-friendly resort is nestled on the water’s edge, offering unparalleled views over the crystal waters of Tuggerah Lake. And just around the corner you will find a handful of swimming bays and golden beaches, ideal for surfing, sunning, fishing and boating. House Rules Oaks Waterfront Resort takes special requests – add in the next step! Oaks Waterfront Resort accepts these cards and reserves the right to temporarily hold an amount prior to arrival. Please note that cash is not an accepted form of payment, and you must present a valid credit card upon arrival. Please note that the credit card presented on check-in must be in the same name as the guest on the booking confirmation. Please note that daily housekeeping service is not included in the rate. You can request daily housekeeping service at an additional charge at any time during your stay. Guests will have the choice of cleaning service options, at an additional cost, upon check in at the hotel. For guests staying more than 8 nights, a full cleaning service will be provided free of charge in the middle of your stay. For guests staying more than 12 nights, a full cleaning service will be provided free of charge every 7 days. The location was excellent and the apartment was basic but clean. The bed however was very uncomfortable as it was 2 singles put together and of course they never meet up well in the middle. The bed was uncomfortable because it was split into a double bed instead of a queen for me and my girlfriend, it was very unsettling. The pool & spa were the best about the resort. 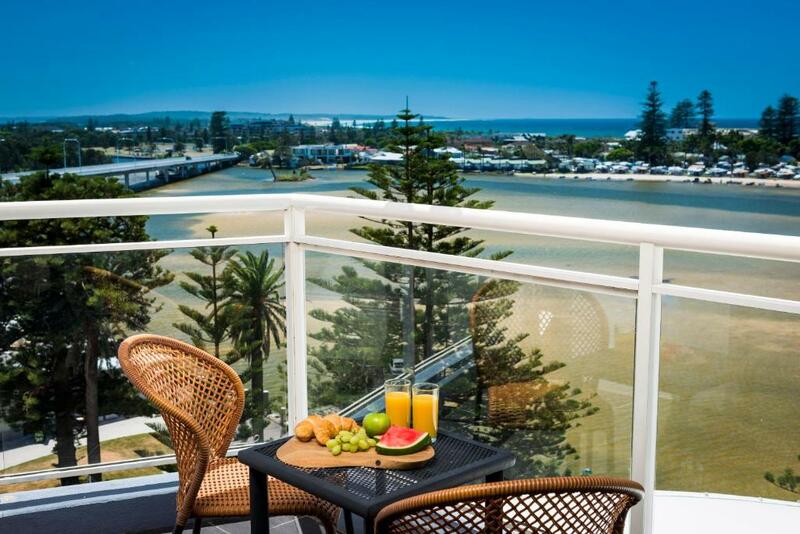 Good location..’ the view from the balcony is extremely fantastic “stress relief” specially sunset in the morning. Kids was really enjoyed and having fun. Stayed 3 nights and the rooms were not serviced regardless of the fine print that’s something you don’t think of when booking online and then wanted to charge for towels.. it’s an outrage. The shower was terrible, very difficult to figure out and no instructions, the lever kept coming out of the wall and I found it hard to work out even after being shown twice . My 3 daughters burnt themselves and complained bitterly. There was no washing machine and the dryer only worked for a minute max. The walls needed painting and appliances needed upgrading. Reception was very understaffed and hard to contact. Our first remote did not work, but was replaced and much better The towels should have been replaced each day for the price we paid and there was no information about the local area in the unit. 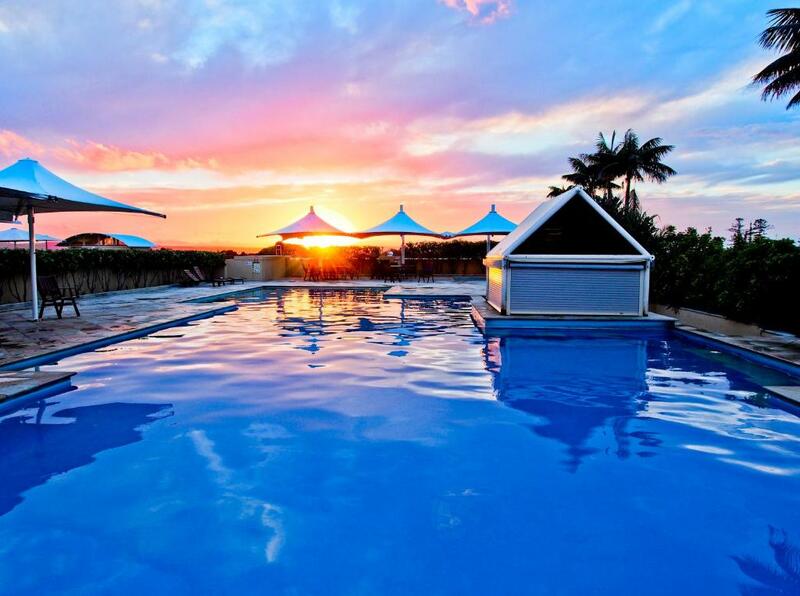 The location was fabulous and my kids loved the pool and spa. Been staying here for years. My favourite place. Room a bit dusty. Door handle with dust on it, not great 1st impression. The fact that it was good location to see ocean yet still after paying few weeks before booking date they said they can’t give me ocean view- my question is why take the money before hand and say yes ocean view studio is available !!! The parking was so difficult to access, feel like hitting the wall so easily. And the parking is not free. The location is great, the ocean view is perfect.